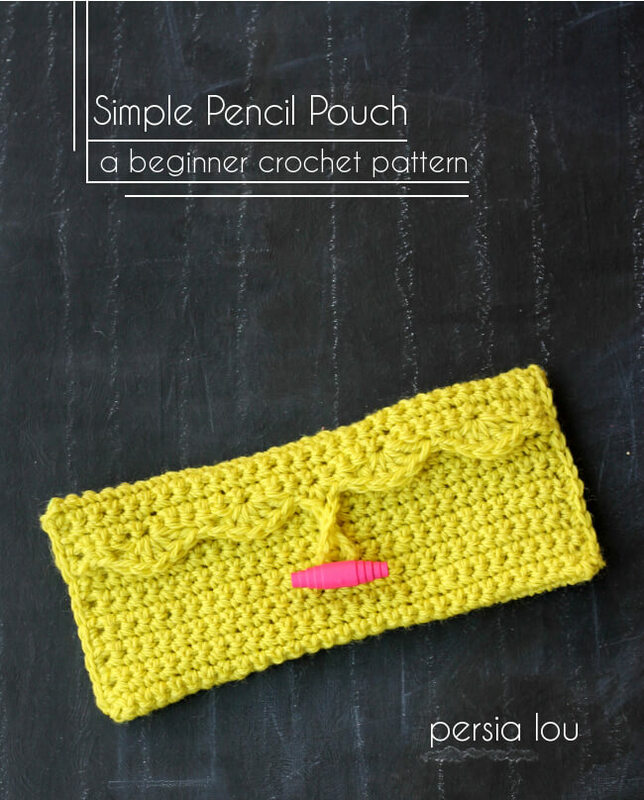 This Simple Crochet Pencil Pouch Pattern is a great pattern for beginning crocheters. 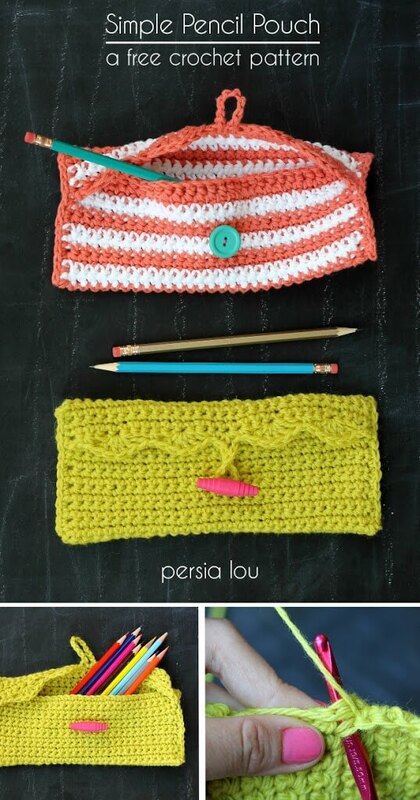 Make a cute little pouch to hold pencils or whatever you want! 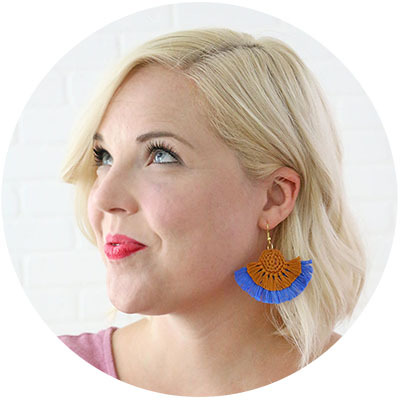 I originally shared this post at Craftaholics Anonymous, and it contains affiliate links, which help to support this blog. 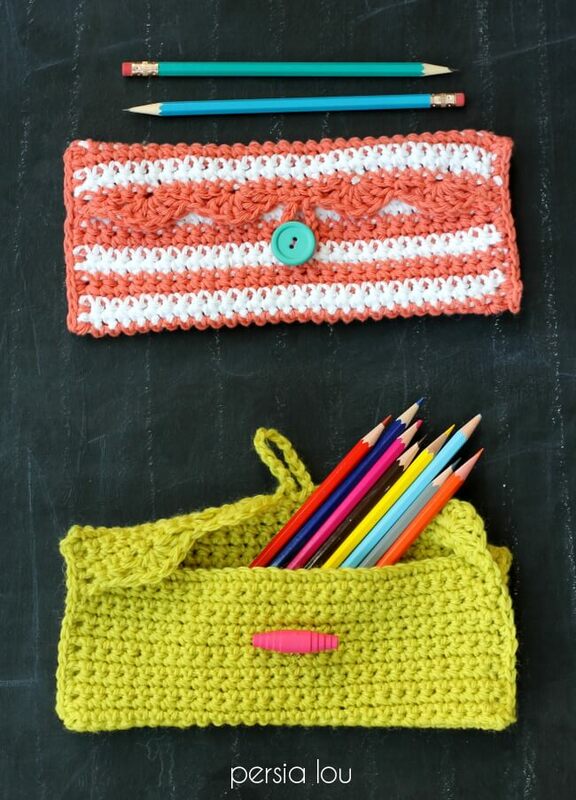 I’ve got a perfect little back to school crochet project for y’all today: a cutie cute little pencil pouch! 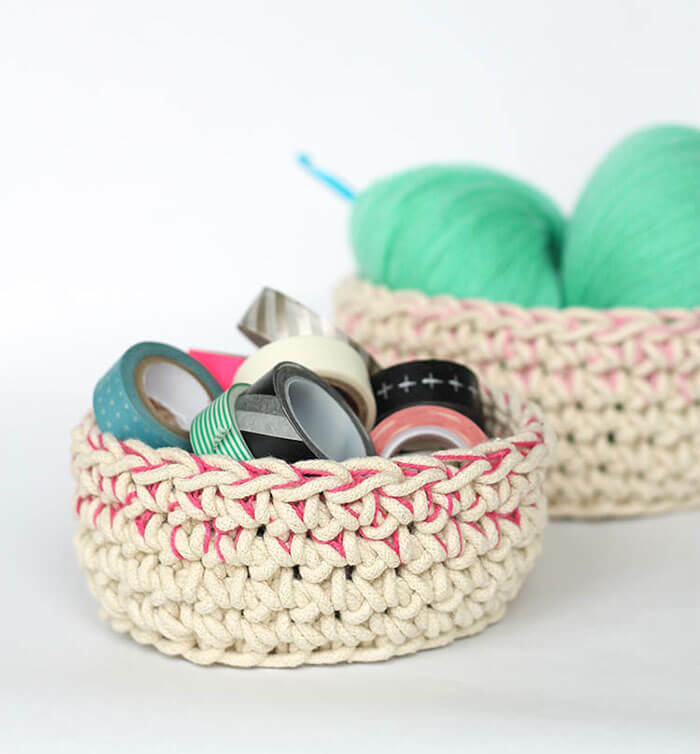 You can work this guy up in a couple of hours, and it is totally simple enough for a beginner crocheter. 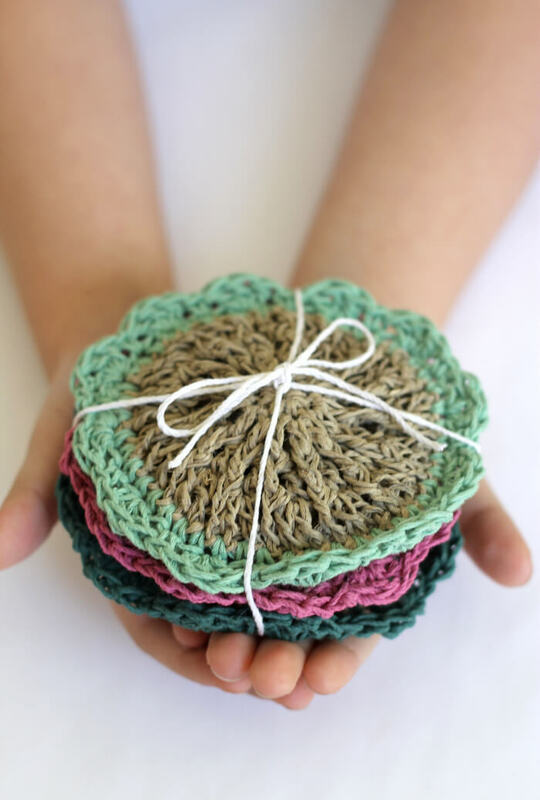 In fact, I made up this pattern when I was teaching some 10 and 11 year old girls to crochet as a first project pattern. 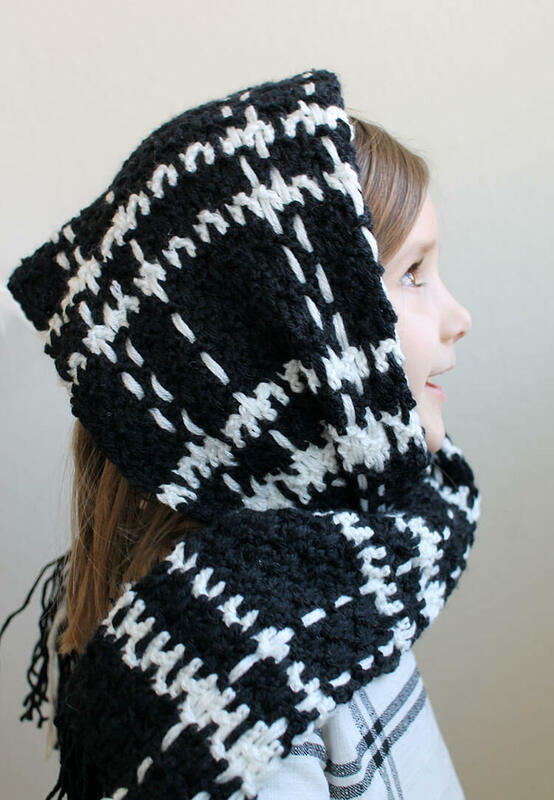 I like this pattern for a first crochet pattern because it is basically a simple rectangle but it’s a little more exciting than a washcloth or scarf (in my opinion). 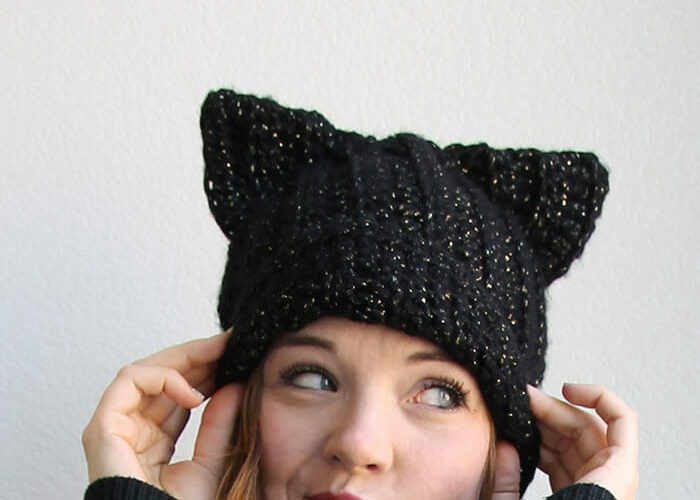 Plus you get to pick out a cute button to go on top! Win win. 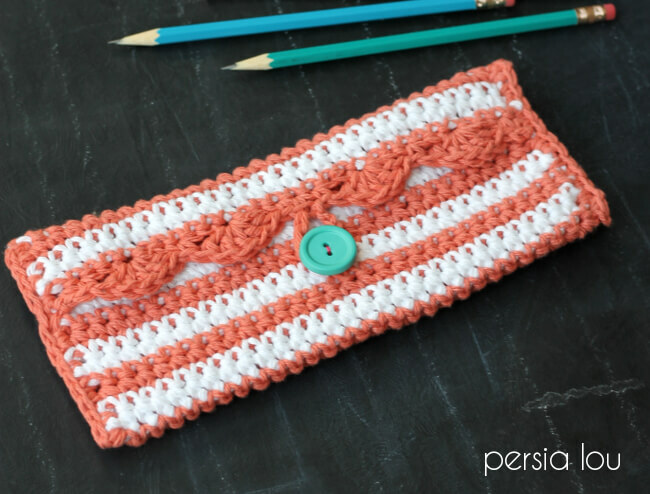 To make this pouch, you will need to know how to chain stitch, single crochet, and double crochet. And that’s it! Start off by making a 30 ch st chain. Row 1: sc in the second ch from the hook, sc in each remaining chain, chain 1, turn (29 total sc). Row 2: sc in each stitch across, chain 1, turn (29 sc). Rows 3 on: repeat Row 2 until the piece is about nine inches long. Final Row (scalloped with button loop): sc in first two stitches, skip 2 stitches, 5 dc in next stitch, skip 2 stitches, sc in next stitch, skip 2 stitches, 5 dc in next stitch, skip 2 stitches, sc in next stitch, sc in next stitch, ch 10 (if using a smaller button, use fewer chain stitches to make button loop shorter), slip stitch to the top of the previous sc, sc in next stitch, skip 2 stitches, 5 dc in next stitch, skip 2 stitches, sc in next stitch, skip 2 stitches, 5 dc in next stitch, skip 2 stitches, sc in next 2 stitches. Finish off. Weave in ends. Next, crochet the edge closed by stitching through all layers. 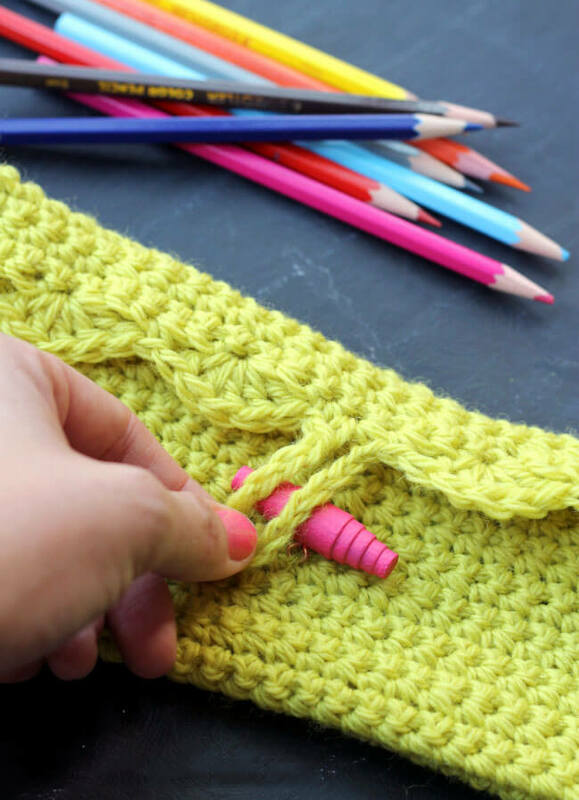 With the front of the pouch facing you, join the yarn in one corner and work single crochet stitches through the open edge of the folded fabric from front to back. 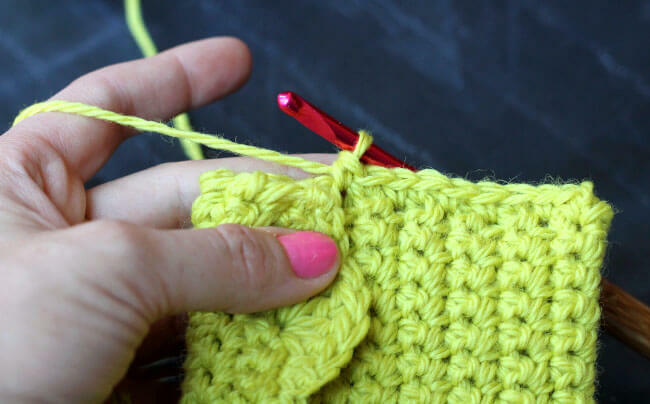 When you get to the scalloped edge, just keep working single crochet stitches through all three layers. 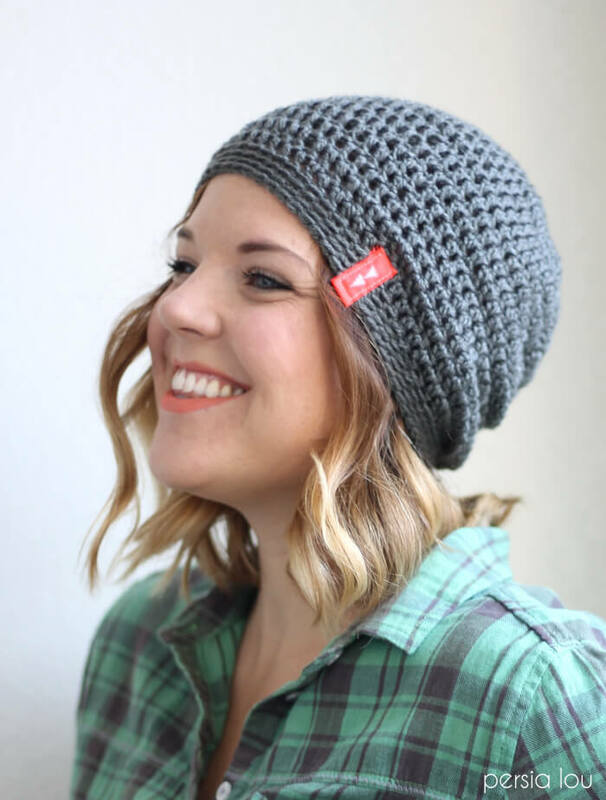 When you reach the end, finish off the yarn and weave in the ends. Then, close up the other side of the pouch using the same method. 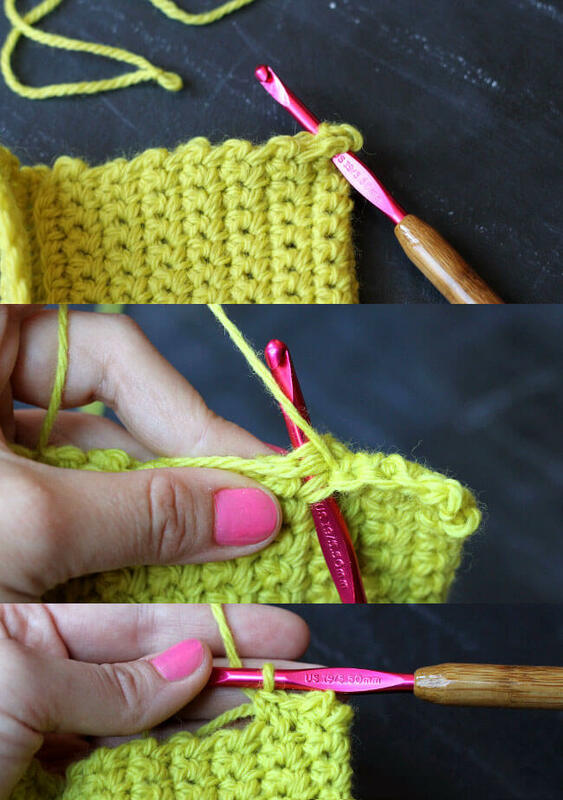 The single crochet stitches close the pouch up and give you a nice finished edge. Finally, use the needle and thread to sew the button to the front of the pouch so it lines up with the button loop. And your pouch is all finished! Yay! To make the striped pouch, I simply alternated yarn colors every two rows. Which do you like better, the striped or the solid? I’m kind of partial to the solid, but I think it’s just because of that awesome pink button. 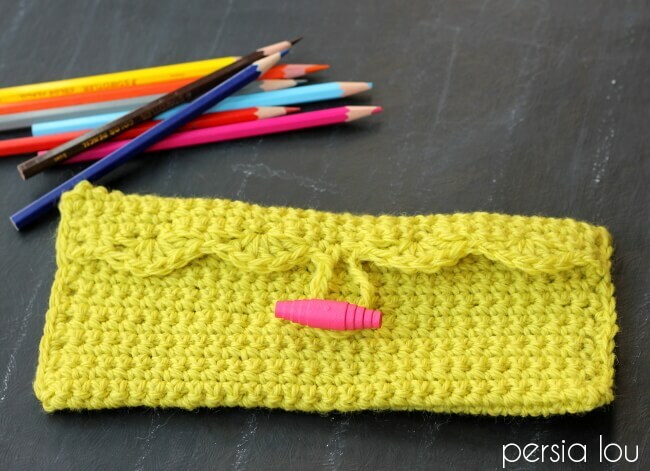 If you make your own Simple Crochet Pencil Pouch, I would love to see it! Share your photos to my facebook page or tag me on instagram or twitter (@persialou), and don’t forget to use the hashtag #persialou for a chance to be featured. great pattern! 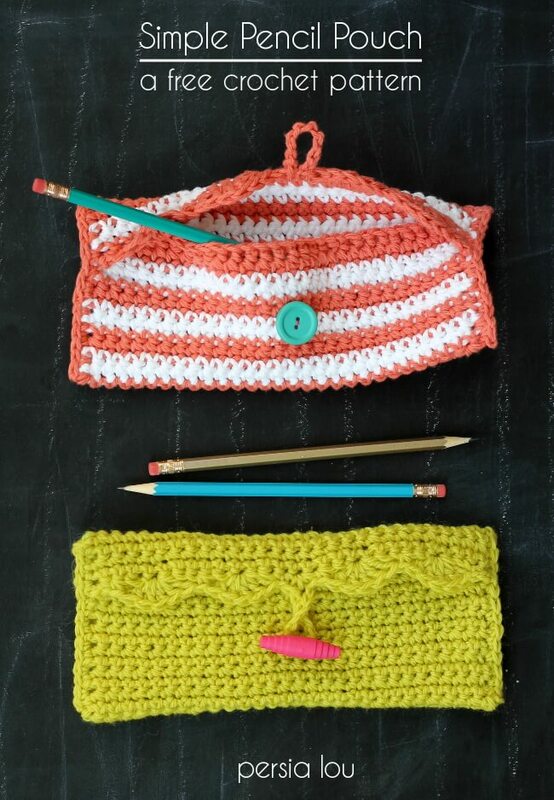 love this crochet pencil pouch! 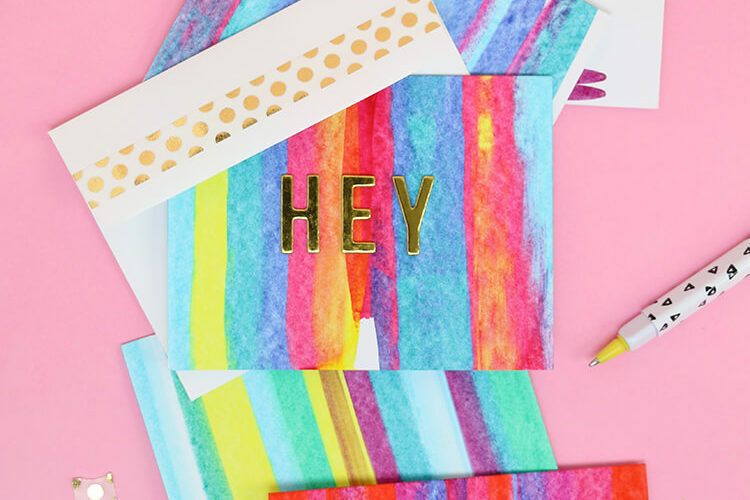 The bright colors and scalloped edge makes this simple pattern stand out in the crowd. Thanks for sharing!